Earned a second swim in the 200 fly (2:03.46) at the GT Invite…was 13th in the 100 fly behind a career best time of 53.87 and also competed in the 200 free (1:51.26) and 50 free (23.68)…swam the 200 fly (2:07.80) vs. GT and Pitt…competed in the 200 free (1:53.65) before taking sixth in the 100 fly (56.19) vs. Arizona State…took third in the 100 fly (55.53) and also swam the 200 free (1:55.57) vs. No. 10 Florida…won the 200 fly (2:05.83) at the quad meet. 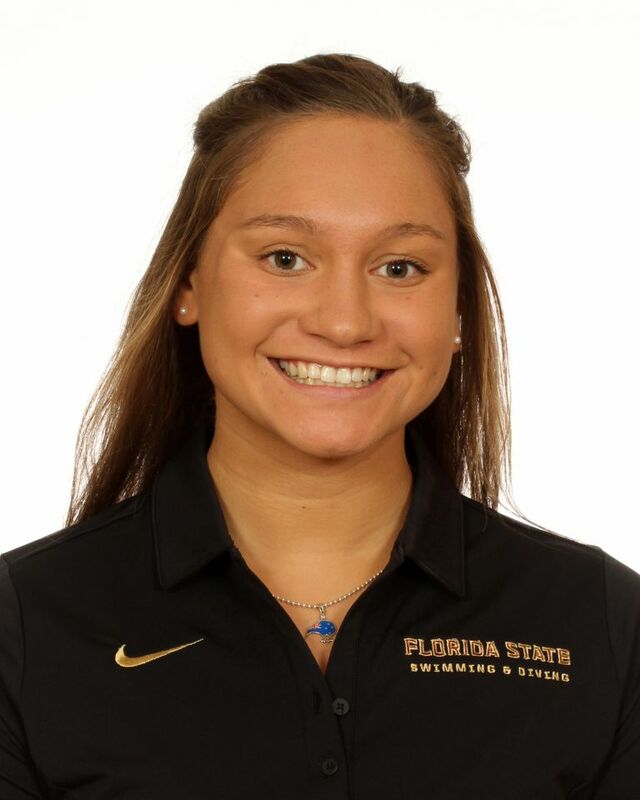 Finished second in the 100 fly at the UF Last Chance meet with a time of 54.86 which was a career best…also finished sixth at 51.04 in the 100 free and swam a time trial of the 200 free and posted a career best of 1:49.49…was one of FSU’s ACC Top Six for Service winners…member of the ACC Honor Roll. Arrived in January of 2017 and competed at the ACC Championships in the 100 fly (55.42) 200 free (1:50.48) and 200 fly (2:04.46) in addition to the 800 free relay. Is the reigning New Zealand Short Course Champion in the 100 free and was second in the 100 and 200 fly…an 11-time National Age Group record holder…was a finalist at the 2016 Olympic Trials in the 100m fly where she placed seventh…a member of the 2016 New Zealand National Development Squad…was tabbed as a 2016 Patway to Podium Athlete…was a two-time Sportsperson of the Year at Pakuranga College.